How sad to see pictures on facebook of a horse ridden at Burghley Horse Trials in a hackamore which was fitted so low that it seemed to be restricting his nostrils. Was this a groom’s mistake or a deliberate misuse of equipment? Either way, it was allowed to compete. Where were the rigorous checks which we observed at the Olympics? Now today, Horse and Hound leads with a story about drugs found in a leading endurance yard. Hats off to the magazine for persisting in their reports on health and welfare! This is top level cometition we are talking about here, so ignorance of best practice (or the rules) can be no excuse. There has been much talk of the Olympic legacy and the fact that more riders are inspired to compete than ever before. So isn’t it the duty of those at the high end of equestrian sport, to set a good example? I was made to suffer once, and as a result, I can’t work. I was tethered by my back leg and now that leg doesn’t work well enough for me to be ridden or driven. I was never quite an Olympic prospect (except in my own head of course), but the law treats me just the same as it does a four star horse. I hope that horse with the sore nose will be OK and his owner will not try that method again. And I hope those brave endurance horses will be OK too – it’s not their fault that we have set them times they can’t achieve. Cruelty to horses is cruelty to horses. You people have a duty to treat us right – especially when we are your ticket to success! 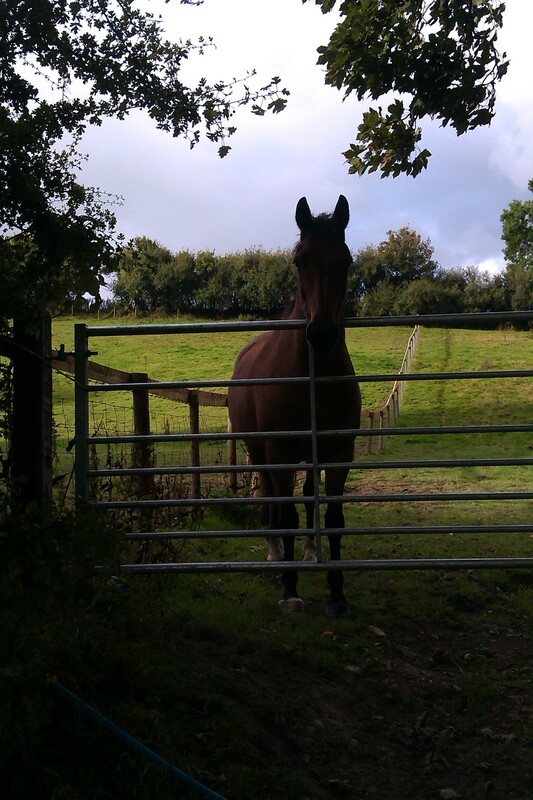 This entry was posted in Horse welfare, Life and Times and tagged BE, endurance horses, FEI, Horse and Hound, horse welfare, life and times on September 19, 2013 by sallylearoyd. Seems that lovely hot weather has gone away for good. I must get my woollies on ready for the cold and wet. My friend Hooligan has started to get fluffy, but he’s no good at real fur – has to have a rug when it gets to proper winter. He is doing his best though – came in covered with mud this morning, which, to be fair, does help as an extra layer. I am a great believer in mud myself. The thing about autumn is that it brings its own set of challenges. For me, it can be just as tricky as the Spring, because the grass keeps doing a bit of a growth spurt after a warmish day. 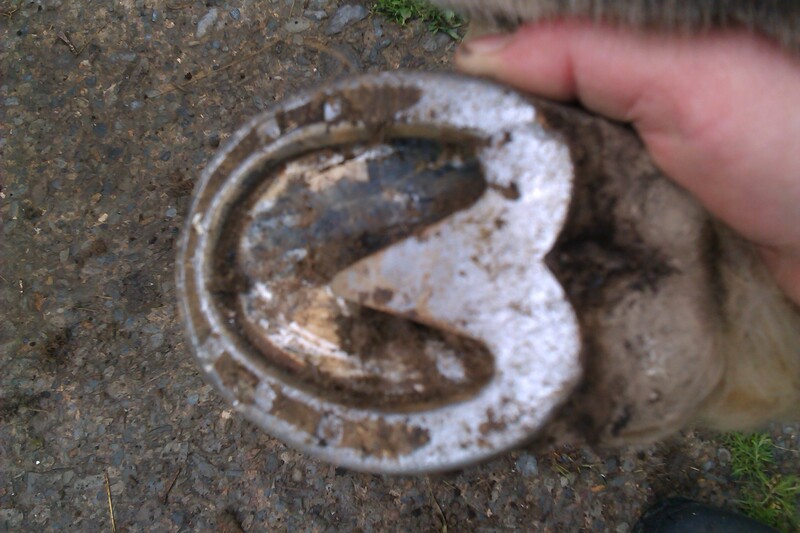 So I am standing in the stable a lot at the moment, and I have my lovely heart bar shoes back on. They keep me sound and make is possible for me to get more exercise. I feel for all laminitics everywhere and I hope you are getting the care you need. This entry was posted in Hints on horse care, Horse welfare, Life and Times and tagged horse welfare, laminitis, life and times on September 16, 2013 by sallylearoyd.